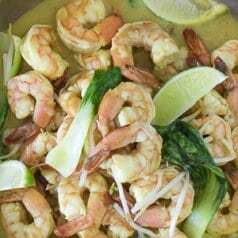 Peel and Eat Shrimp Cocktail, boiled in a rich beer stock makes this one super flavorful shrimp cocktail! Plus a recipe for a classic cocktail sauce! Shrimp cocktail is just a flat-out classic. I kick my recipe up a notch by boiling them shell on in a flavorful stock before getting them ice cold! Living in Florida, I am super lucky to be able to purchase fresh-caught shrimp any day of the week. Our favorite way to prepare them is a classic shrimp cocktail. I personally just love the taste of shrimp cocktail. 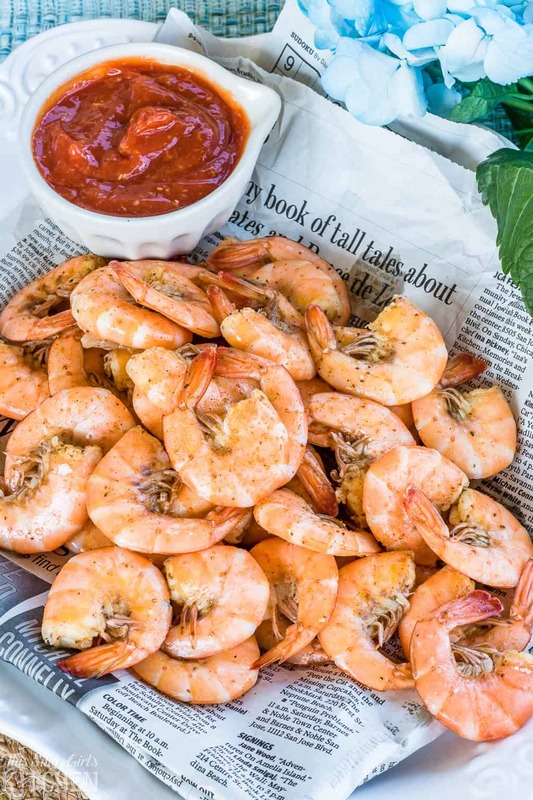 Super cold shrimp seasoned to perfection with a tangy cocktail sauce… look out summer here we come! Normally you will find shrimp cocktail is boiled in water and it ends up being pretty plain. And, honestly, that just doesn’t cut it for me. 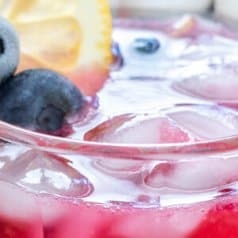 I love to bring the classic flavors of a traditional seafood boil to my shrimp cocktail! Plus, serving the shrimp “peel-and-eat” style just flat-out saves you a lot of time and energy. Let your friends and family do the hard part – the peeling! Serve with homemade tangy cocktail sauce, you can really enjoy this fun appetizer (or entree, or snack!) hot OR cold. You can even add a little-drawn butter for a more decadent treat! Like I have said, I personally love this dish cold over hot. But, serving them warm does tend to make them easier to peel, totally your choice. But, if you plan on serving this shrimp cocktail chilled, I suggest making it at least 5 hours in advance so the shrimp can become really cold in the fridge. Turn this dish into a true shrimp boil by adding whole baby red potatoes, sliced smoked sausage, and corn on the cob! Add these ingredients about 15-20 minutes before the shrimp go in. You need to get the stock going first, so add the beer, water, garlic, onion, carrots, celery, and 1/2 cup of old bay to a large pot and bring to a boil. Boil uncovered for 30 minutes. Add the shrimp and cook until just done about 2-5 minutes. You know they are done when they curl slightly and are opaque, no longer translucent. Drain, and discard the cooking liquid and veggies. 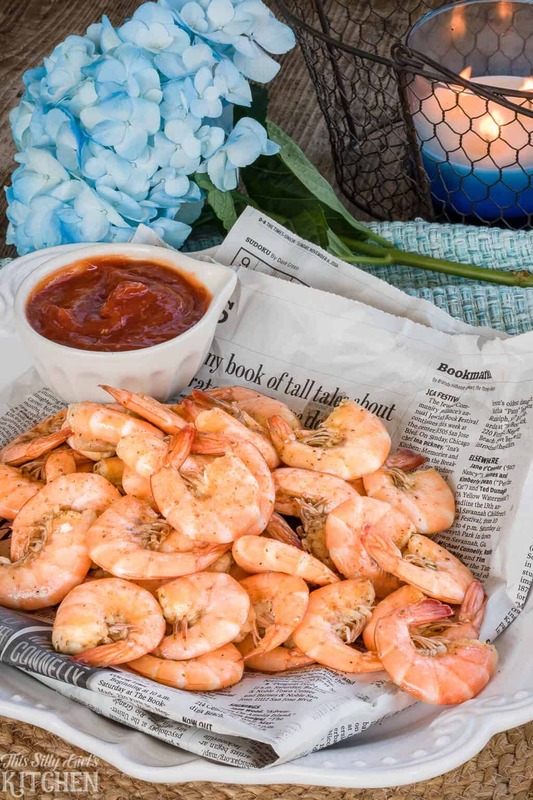 Transfer shrimp to a bowl and toss with more old bay and if serving warm, the melted butter. 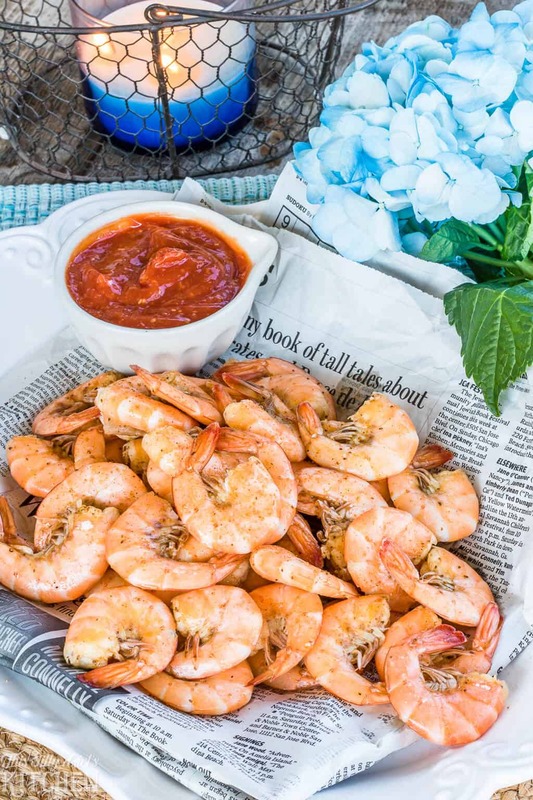 If serving cold, lay shrimp on a sheet tray in an even layer and refrigerate for 5 hours or until they reach the temperature you prefer. Make the cocktail sauce consisting of horseradish and ketchup, serve and enjoy! This recipe is featured in my cookbook, The Cozy Table, available now! Old Bay – stock up on this! 24 - ounce beer cheapest you can find! Place the beer, water, garlic, onion, carrots, celery and 1/2 of the old bay seasoning in a large pot. Cover, bring to a boil. Uncover and boil for 30 minutes. Add the shrimp to the pot and cook until the shrimp are just done 2-5 minutes. You know shrimp are ready when they slightly curl and the flesh is bright white and the shells will be pink. Drain. Discard cooking liquid and vegetables. If serving warm, toss in the melted butter and remaining 2 teaspoons old bay. 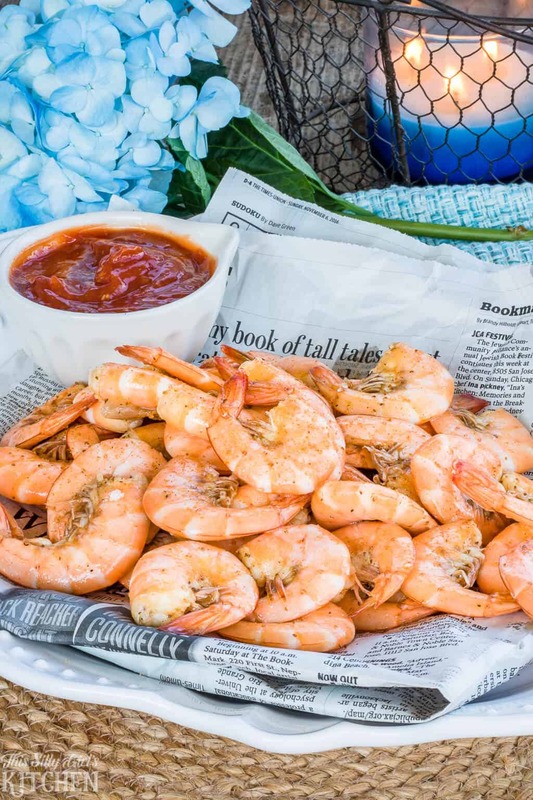 If serving cold, toss in the remaining 2 teaspoons old bay, lay shrimp out onto a sheet tray in a single layer, refrigerate for 5 hours or until temperature you desire. Mix ingredients together until combined. Cover with plastic wrap and refrigerate until ready to serve. Serve shrimp with cocktail sauce, drawn butter, and lemon wedges if desired. *Only use butter if serving warm per directions. Absolutely amazing food! Can’t get enough of shrimps and the sauce is wow! 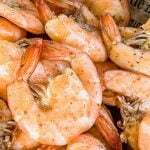 I grew up in Louisiana and loved having seafood boils. 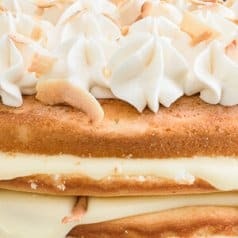 This recipe is spot on and the flavors perfect!